Thanksgiving may still be a couple of weeks away, but the season for Scandinavian Christmas fairs has arrived in Los Angeles. 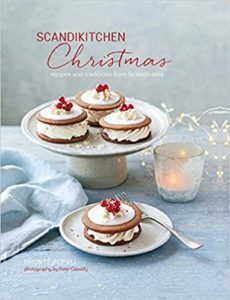 Norway, Sweden, and Denmark all offer events with a cozy Christmas atmosphere and unique vendors, foods and drinks, and entertainment. The fairs may require a bit of driving, but they’ll be worth it. 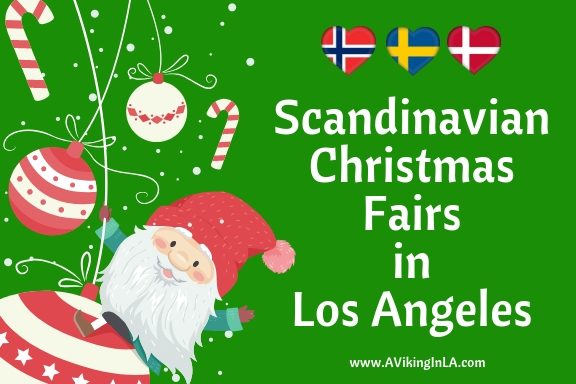 Presented in order of occurrence, here are the upcoming Scandinavian Christmas fairs in the greater Los Angeles area. Did I miss one? Please let me know in the comments. 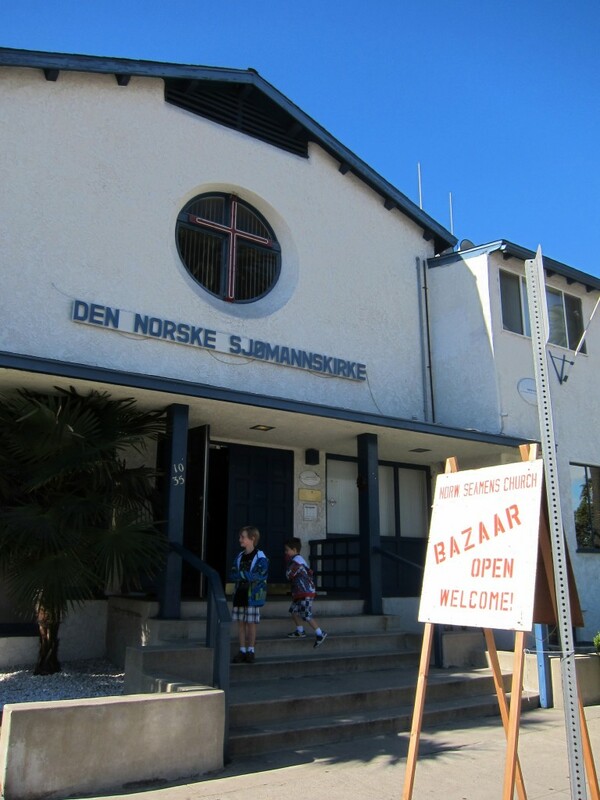 First on the calendar is the three-day Norwegian Christmas fair Julebasar hosted by the Norwegian Seaman’s Church in San Pedro on the weekend before Thanksgiving. I’ve been at this event several times both as a guest and as a volunteer and it never disappoints. Warm gløgg (traditionally, mulled red wine with cinnamon, cardamom, cloves, raisins, and slivered almonds, but for this occasion, non-alcoholic) and ginger snaps welcome you as you arrive. 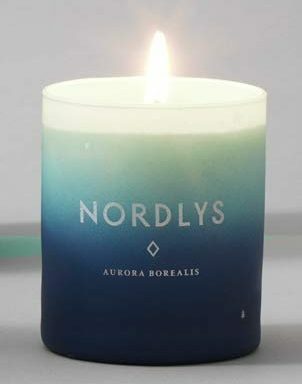 Christmas decorations, music, candles, and the smell of freshly baked goods set the mood as you wander the booths filled with Scandinavian goods of all kinds. There are daily raffle drawings with wonderful prizes and even live entertainment if you‘re there at the right time. On Saturday there’s a children’s workshop to occupy the young ones while you can enjoy festivities on your own. 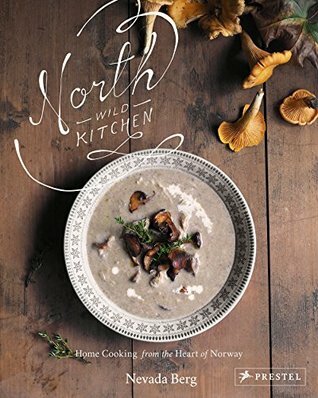 And of course, the kitchen offers a wonderful assortment of traditional Norwegian foods. 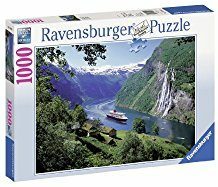 My favorite is rømmegrøt (sour cream porridge served with butter, sugar, and cinnamon), but there is so much more to choose from such as open-faced sandwiches, meat stew, pea soup, and Norwegian sausages (at least in previous years). And don’t forget to check out what’s for sale in The Bakery and in the church’s store! 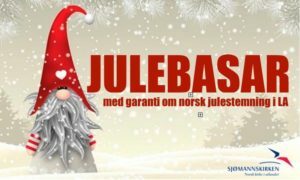 The Julebasar is free to attend and all are invited. 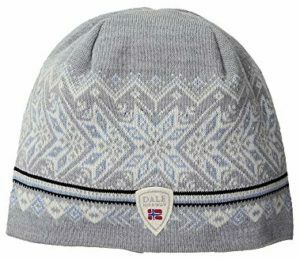 You do not need to be Norwegian nor a member of the church. 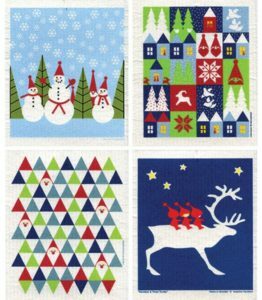 Friday, November 16, 11:00 a.m. – 5:00 p.m.
On the Sunday before Thanksgiving, SWEA Orange County (Swedish Women’s Educational Association) hosts its annual Swedish Christmas Fair in Huntington Beach. 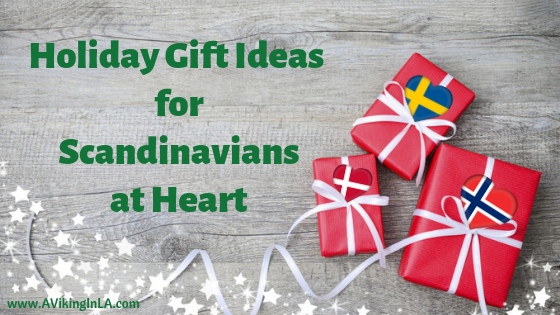 Come for Swedish handicrafts, traditional Swedish foods and home-baked goods, a gløgg bar, dancing around the Christmas tree, and Lucia pageants (at 1:00 p.m. and 3:00 p.m.). 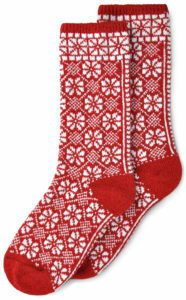 There will also be a fish pond and jultomte and much more! Entry fees are $5 for adults and $2 for children ages 5 to 15. 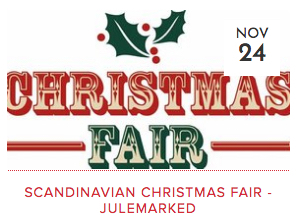 2018 Date & Hours: Sunday, November 18, 11:00 a.m. – 5:00 p.m.
On the Saturday after Thanksgiving, Scandinavian enthusiasts can visit the Danish Church’s Scandinavian Christmas fair Julemarked in Yorba Linda. 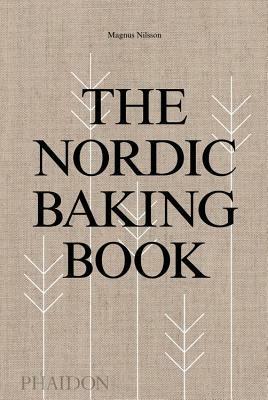 This annual event features Scandinavian vendors selling items imported from Denmark, Norway, Sweden, Iceland, and Finland or that feature Scandinavian themes as well as traditional Danish foods and drinks such as smørrebrød (open-faced sandwiches), æbleskiver (Danish pancake balls) with powdered sugar and raspberry jam, strong Danish coffee, and gløgg. 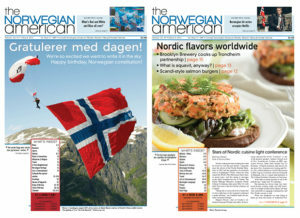 Danish pastries and selected meat products are also available for purchase. I have not attended this event, but maybe this will be my first year. 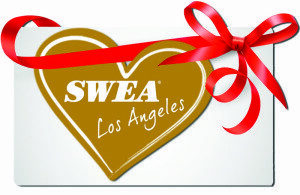 2018 Date & Hours: Saturday, November 24, 9:00 a.m. – 3:00 p.m.
Last on the calendar is the Swedish Christmas Fair organized by SWEA Los Angeles (Swedish Women’s Educational Association), which is another favorite yearly Scandinavian event of mine. It takes place the first Sunday in December in Torrance. The event is in its 38th year and welcomes about 3,000 visitors during the one-day event. 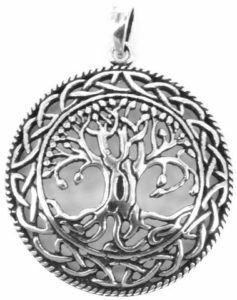 Highlights of the fair include a multitude of vendors selling Scandinavian gifts, books, music, handmade crafts, traditional holiday foods, and baked goods as well as traditional entertainment with folk dancing and Lucia pageants. When you go, make sure to be there for one of the two Lucia pageants. 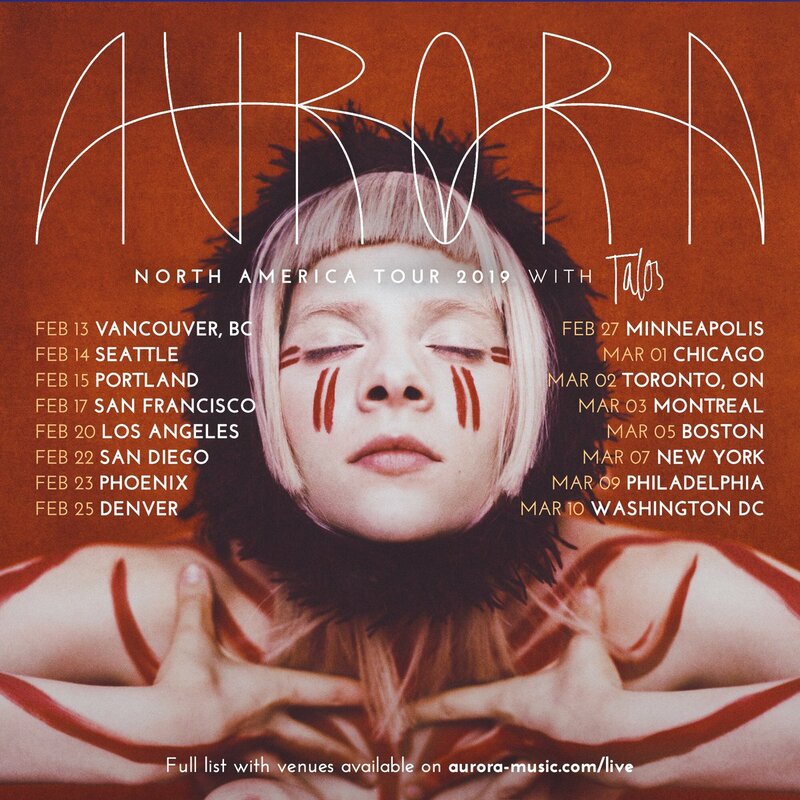 They perform at 12:00 p.m. and 3:00 p.m. There is also a children’s corner where kids can create crafts to take home and visit with Santa. 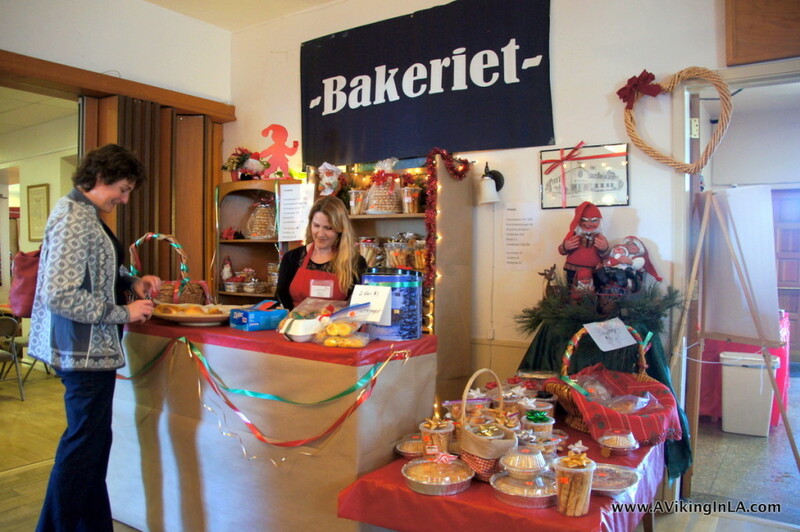 To top it all off, there is also a gløgg bar and Café SWEA serving traditional foods and baked goods. 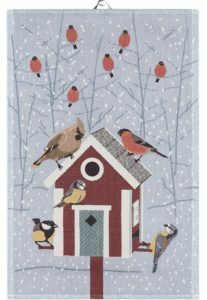 2018 Date & Hours: Sunday, December 2, 10:00 a.m. – 5:00 p.m.
Are you unable to attend a Scandinavian Christmas fair or would you like to bring the cozy Scandinavian Christmas feeling home? 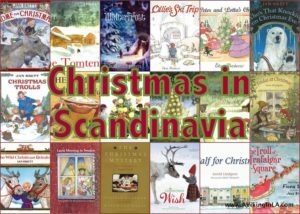 See my list of books for the family written by classic and contemporary authors from within and outside Scandinavia about Christmas and wintertime in Scandinavia at Book List: Christmas in Scandinavia. Nothing Compares to a Norwegian Shrimp Fest! 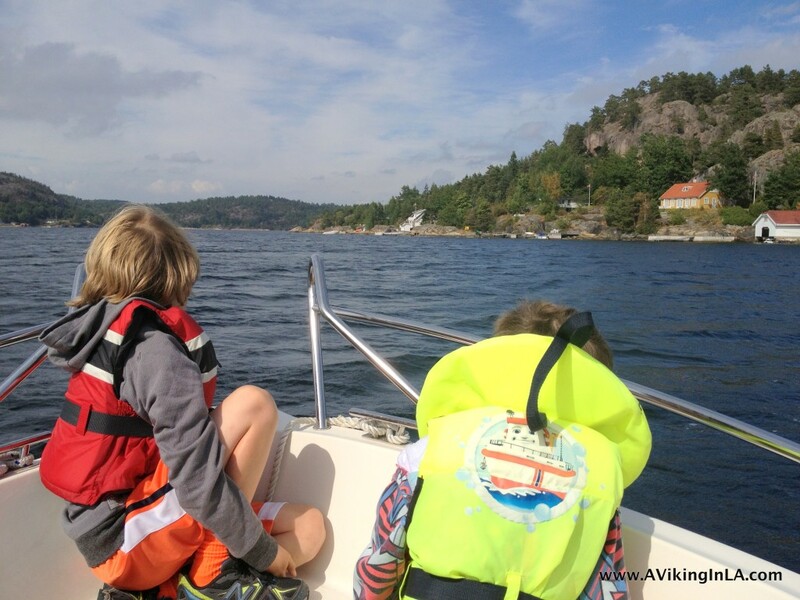 Experiencing shrimp the Norwegian way is a special treat. 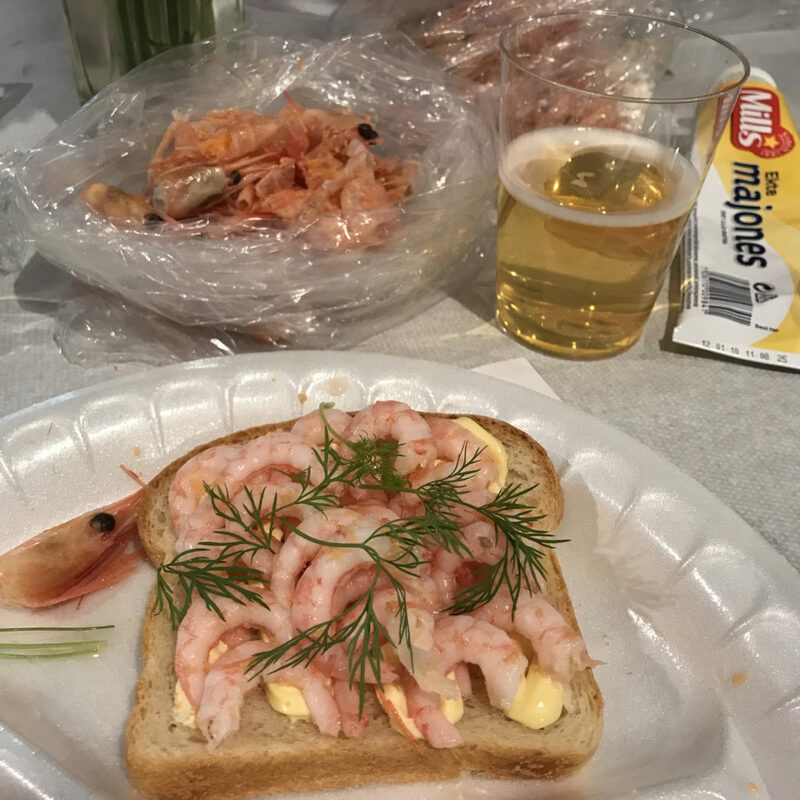 Nothing compares to it in the United States, but attending a Norwegian Shrimp Fest at a Norwegian Church gets you pretty close. 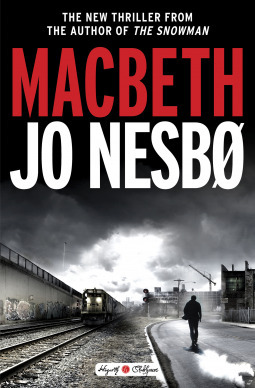 And that’s what I had the pleasure of doing earlier this month. Thank you to Sjømannskirken for letting me use their photo. 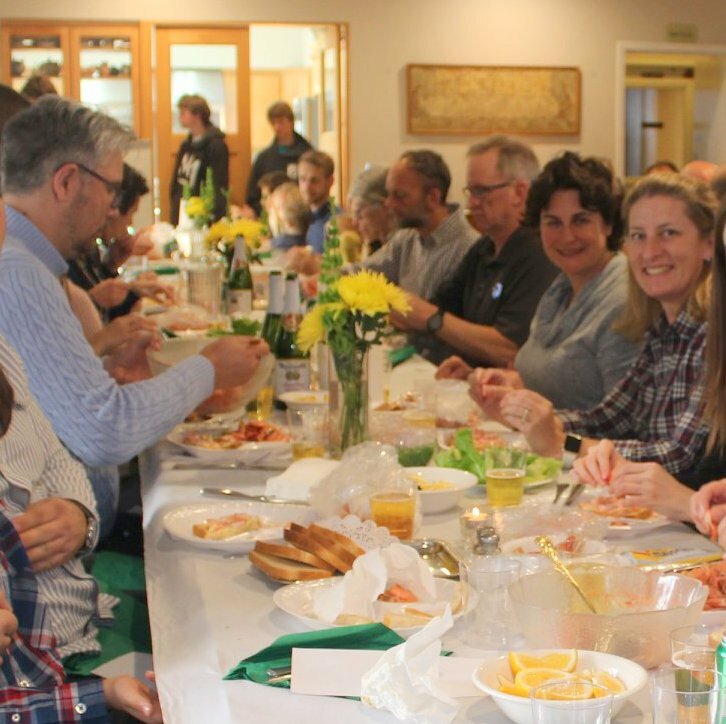 This year’s Shrimp Fest at the Norwegian Church in San Pedro took place on St. Patrick’s Day so the ubiquitous green made its appearance. There were green napkins; otherwise, I would have expected red or blue napkins. Also, there was the occasional very green shrimp sitting on the edge of a shrimp bowl. Apparently, it was edible but no one near us was tempted to try it. It was very quiet to begin with as guests set to work peeling shrimp and making their open-faced sandwiches. There’s nothing really too gourmet about this meal. Some people might even be shocked at the amount of mayo that goes into a sandwich. It’s hard to eat fast at a shrimp fest because the shrimp are small and each one takes a few seconds to peel. But the result is certainly worth the effort. For those of you who are curious about what makes this meal so special, it’s the shrimp. 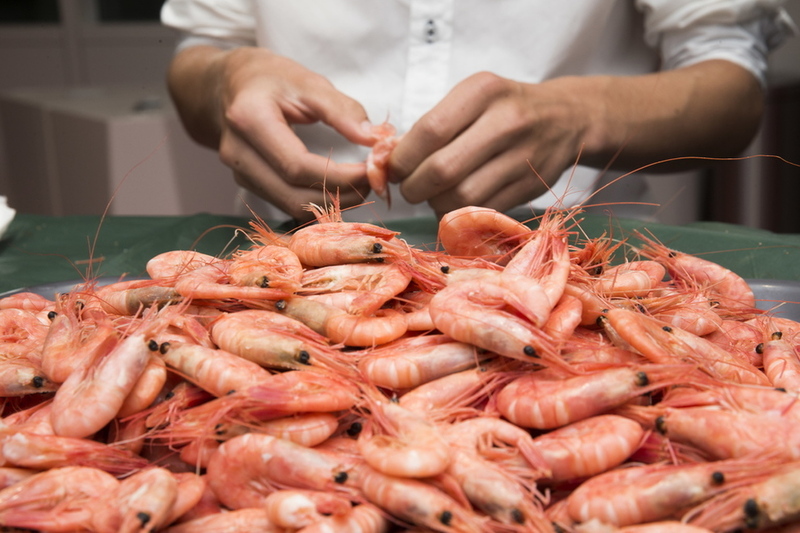 The shrimp enjoyed at Norwegian gatherings are a coldwater species caught at the bottom in the deep waters of the North Atlantic and North Pacific Oceans. 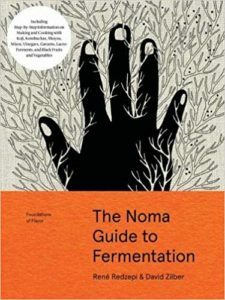 They are most often cooked and quick-frozen within a few hours of leaving the water. While we all were enjoying our shrimp, with discussions of what body part to rip off first, the Slow TV program Saltstraumen minutt for minutt was playing in the background. Saltstraumen is the world’s strongest tidal current located near the city of Bodø (about 50 miles north of the Arctic Circle). I was too busy with my shrimp so I didn’t see much of it, but the glimpses I did catch were a perfect accompaniment to the meal. There were other highlights of the evening as well. 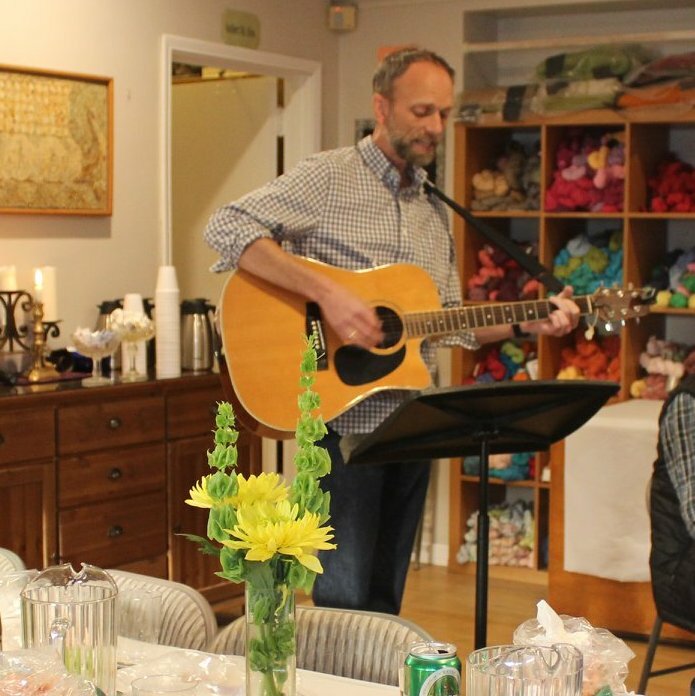 When guests had started to slow down their peeling and eating, we did a sing-along of the Norwegian song “Rekevisa” (“The Shrimp Song”) as Sverre, the priest, played the guitar. 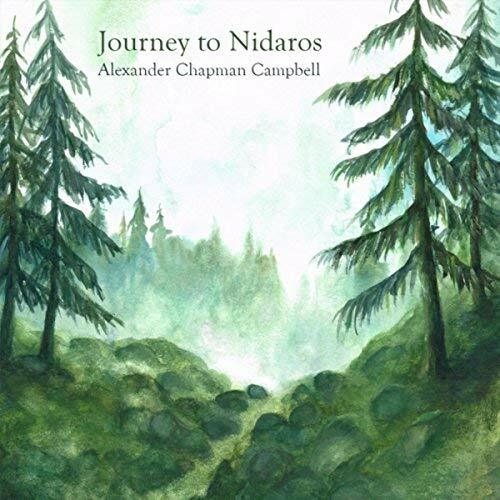 It had the melody of a traditional children’s Christmas song (“Musevisa”, “The Mouse Song”), but the lyrics about a mouse family getting ready for Christmas had been replaced with lyrics about the joys of a shrimp fest. Another highlight of the evening was a quiz. 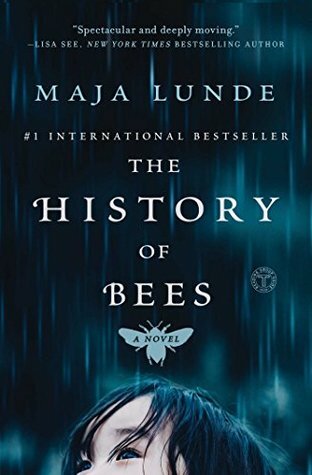 It included multiple-choice questions on a wide variety of topics, some relating to the evening (like “How many species of shrimp are there?”), others totally unrelated (“How many times a day does a person touch their phone?”). 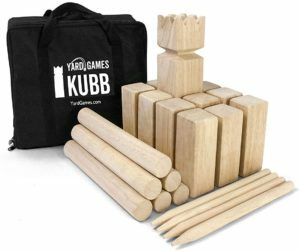 It was really the luck of the draw as to who would win, which made it fun for all ages. We finished off the meal with some vanilla ice cream with chocolate and caramel toppings. As we enjoyed our desserts, we went over the answers to the quiz. I believe I heard the winners came down from Santa Barbara for the Shrimp Fest. They deserved that bag of seigmenn! When I return to Norway every summer, a shrimp meal is always on my wishlist of foods. The opportunity to enjoy one here in the States with like-minded people was wonderful, and I look forward to next year’s fest! 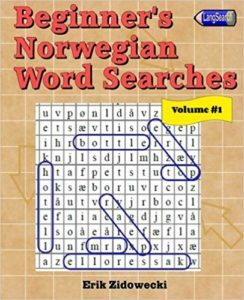 Los Angeles Culture Challenge for March 2018: Norwegian Shrimp Fest! This year I switched things up and volunteered at the Norwegian Church’s Christmas Bazaar instead of just attending as a guest. My day was all about food which suited me perfectly. For me, food has always been a main reason for going to the event. I come to eat foods I only eat once a year, to buy freshly baked goods from the bakery, and to stock up on foods and drinks for Christmas time. On this occasion, I was assigned to the kitchen and café, and that was an assignment I appreciated and enjoyed greatly. I’ve gotten used to the fact that the Norwegian Christmas Fair happens before I’ve even had a chance to plan my Thanksgiving. I look at it as a way to begin the whole holiday season. 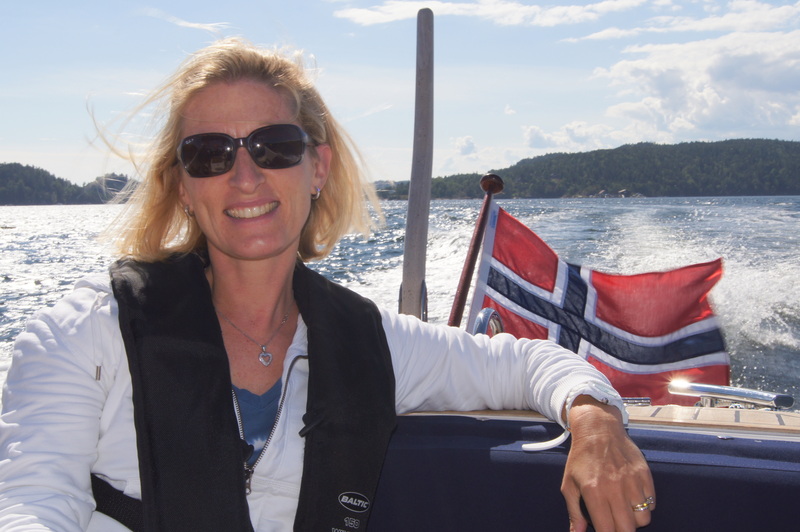 This year I was grateful to have an American friend whose other half is Norwegian join me for the excursion to San Pedro. We headed down Friday morning to be there when the fair opened. I love the warm welcome we receive as we enter, and the offer of gløgg (mulled wine, in this case non-alcoholic) and pepperkaker (ginger snaps) certainly helps put you in the mood for what’s waiting inside. The inside of the church is festive with Christmas lights and decorations. Just as you enter, you’ll see The Bakery. Don’t delay buying baked goods because they run out. I especially like the ones that come right out of the oven. I always buy to bring home. 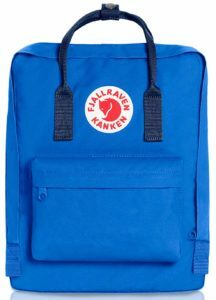 The after school treat that day for my boys was a fresh skolebolle each along with saft I’d bought from the church store. 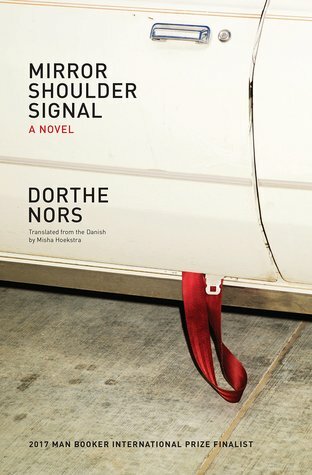 We pretty much overdosed on Norwegian culture this past weekend when we celebrated Norway’s Constitution Day. Maybe that’s par for the course since it was the 200th anniversary of the constitution. (A fact we learned, it’s the oldest constitution in Europe and the second oldest in the world after USA’s!) 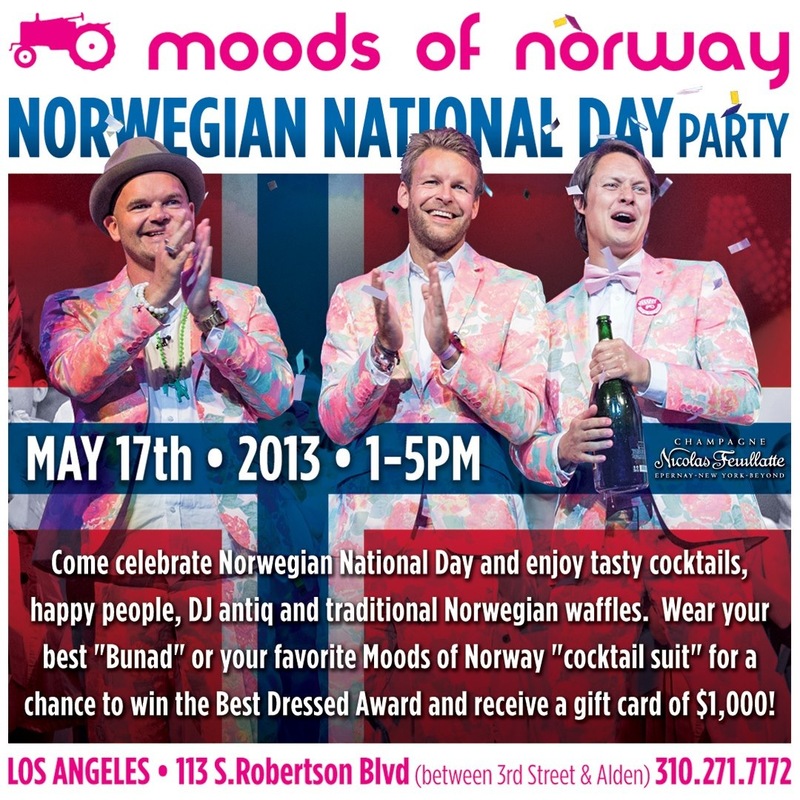 Every year there are two main events in the Los Angeles area to celebrate the Norwegian holiday. 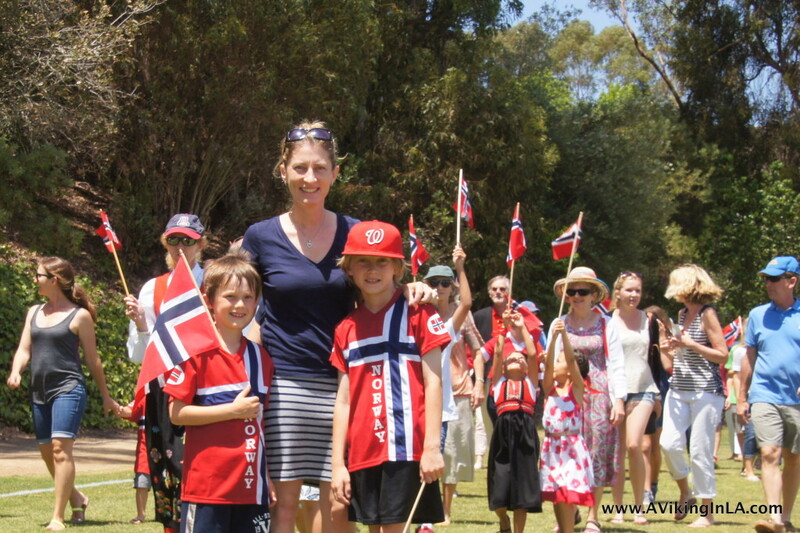 The first one is always on the actual day of May 17th at the Norwegian Church in San Pedro, and the other one is on the closest Sunday at Nansen Field in Rolling Hills Estates. We’ve never attended both in one year, but this year we did, and they were one right after the other! 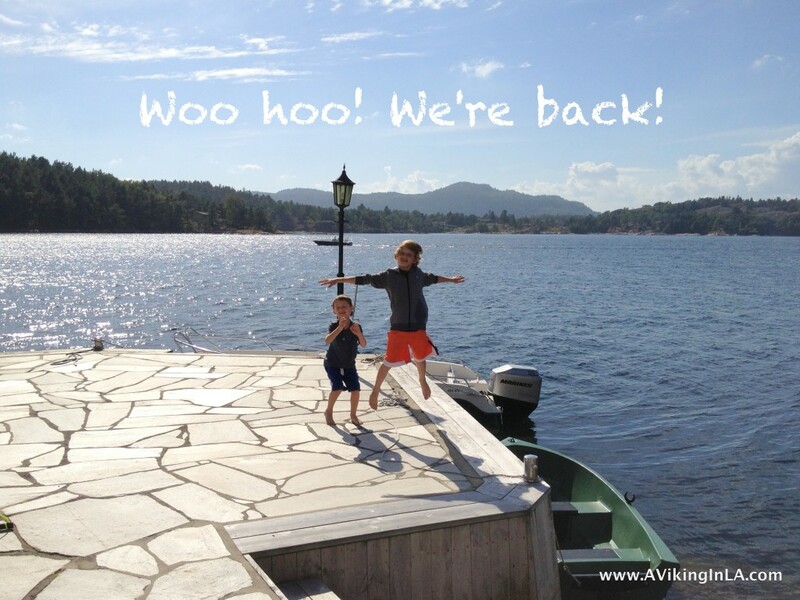 Every summer we return to Norway to see my family. Each trip tends to be very similar to the last one — we spend time at the same places, we do the same activities, we see the same people, we eat the same foods — but that’s what we’ve come to expect and look forward to. We try to plan our visit so that our time overlaps with my sister and her kids’ visit. Both my sister and I want to have some time for all of us to reconnect and make new memories together, but we also want each of our families to have some quality time alone with our parents as well. When all the cousins are together, we love seeing them enjoy each other’s company. When each set is by themselves, we value the special time they have alone with their grandparents. 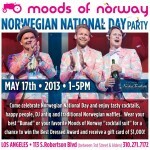 For me, celebrating Norway’s 17th of May in Los Angeles began by vicariously experiencing it through pictures posted on Facebook by Norwegian friends. 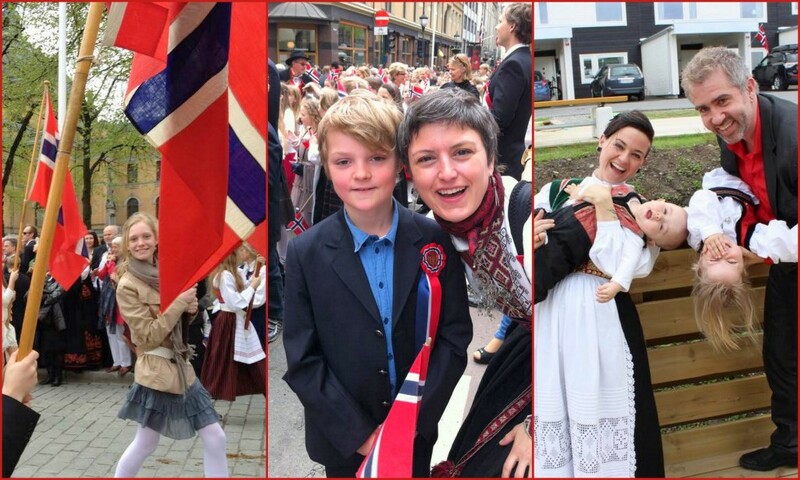 I woke up to a newsfeed filled with bold and bright Norwegian flags, happy families dressed in beautiful bunads, and smiling kids in parades. It was a lovely start to the day and I much appreciated them sharing their celebrations! 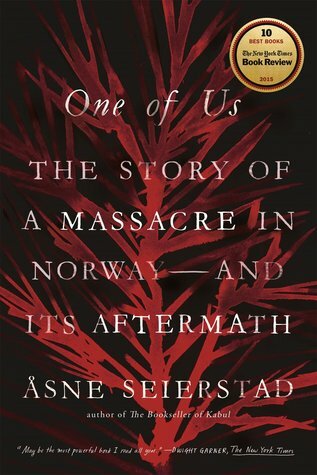 Ideally, I would have attended the festivities at the Norwegian Seamen’s Church in San Pedro that day. 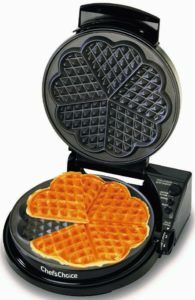 It’s a simple celebration with traditional foods (hot dogs, waffles, and Solo are our favorites), a parade around the block waving flags and singing, speeches, and fun and games for the kids. And let’s not forget the ice cream! But this year, “17. mai” fell on a Friday and the kids had after-school commitments until 5 o’clock. The idea of driving in Friday afternoon traffic to San Pedro was unfathomable. Thanksgiving hadn’t even passed yet, and we attended our first Christmas event. 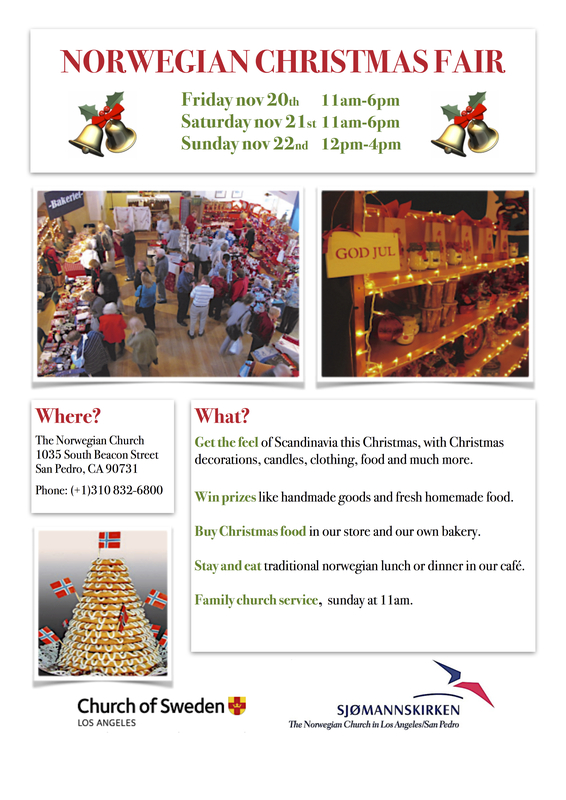 Every year the weekend before Thanksgiving, The Norwegian Church in San Pedro hosts their annual Christmas Bazaar. 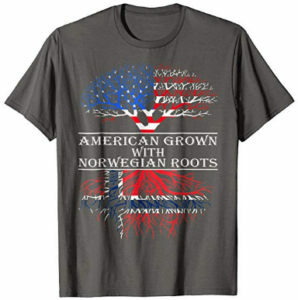 It’s an opportunity to not only support the church by buying handmade goods and Scandinavian products, but also to remind Sonny and Doobie of some of the unique qualities of their heritage. Christmas is a special time in Norway and the church certainly recreates some of that. The kids were a bit reluctant to go. It is a 30-minute drive away on the freeway (assuming no traffic) and they were happily and lazily enjoying their first days of Thanksgiving vacation at home. The promise of Solo and waffles did help get them motivated to go, however. I also told them they could help pick out something special to bring back home. Farm Fresh Produce to Us! I woke up almost as excited as a little kid on Christmas morning. 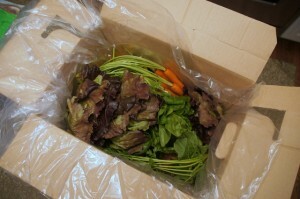 For a long time, I’ve been intrigued by the idea of having produce delivered directly to me from a local farm. 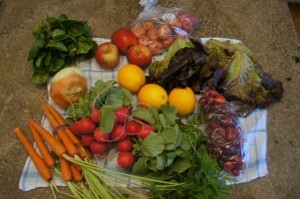 After seeing an offer on Living Social for $31.50 worth of produce for $15, I bought it without a second thought. It was a way for me to finally commit to giving it a try. 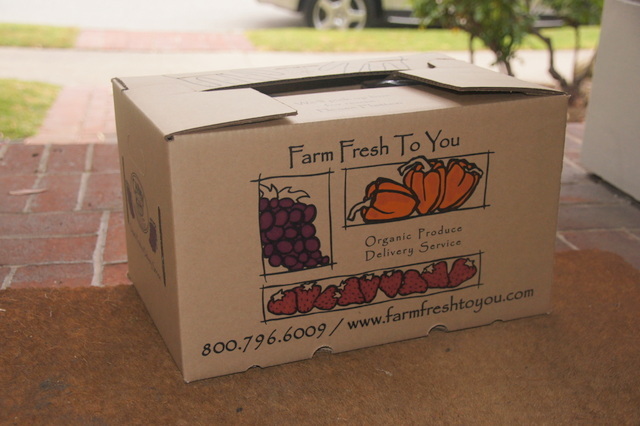 On Thursday, I woke up to a box of fresh produce outside my front door. Since I had seen of list of what to expect, I knew what would be in it, but I was still very eager to open it and check it out. Reactions by family members varied. Sonny, the oldest, was the first to join me as I started opening it. When I started telling him what was in it, he said, “Spinach?! Ew!” “Do you know what spinach is? Can you pick it out for me?” I asked. He started picking through our box, totally overlooking the spinach that was laying on top. When I explained it was a leaf, like a lettuce, and showed it to him, he was surprised and asked, “Can I taste it?” Just that moment was worth the $15. 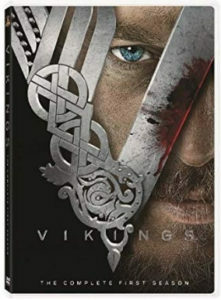 Join me as our family explores Los Angeles and tries to take advantage of all it has to offer, with a special interest in pursuing our Norwegian heritage of course! 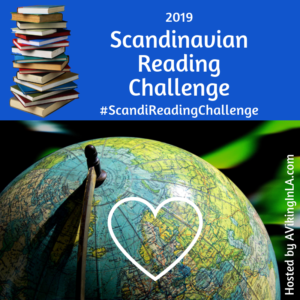 Scandi Reading Challenge – Learn more! 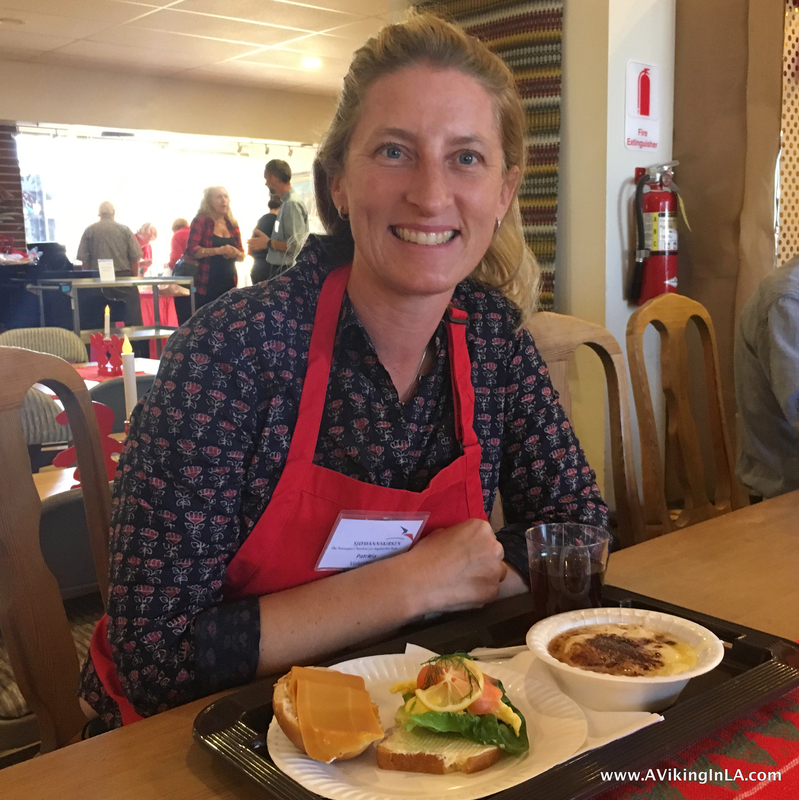 April 2019 Los Angeles Culture Challenge: Scandinavian Festival & Festival of Books! 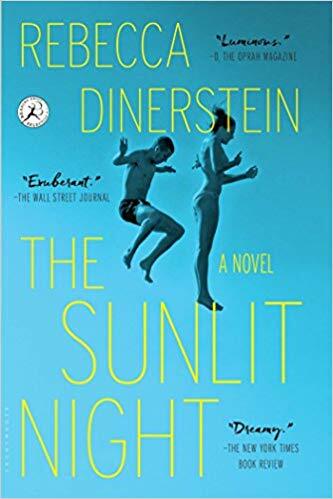 Reading Lately (February 2019): Lots of Variety! 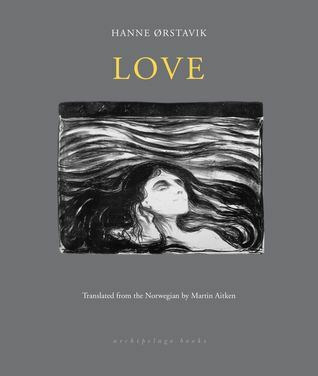 March 2019 Los Angeles Culture Challenge: Norwegian Shrimp & Art! 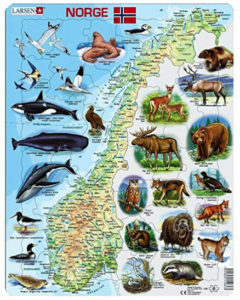 AVikingInLA.com is a participant in the Amazon Services LLC Associates Program, an affiliate advertising program designed to provide a means for sites to earn advertising fees by advertising and linking to amazon.com. 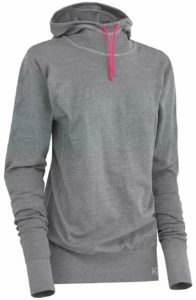 Any and all click-thrus are much appreciated as they help bring revenue to keep this site going. Thank you!